Valet parking is available for Neros customers with access off of Riverside Drive. Entertainment is available on weekends in Cosmos and in the Colosseum. Neros Steakhouse, Caesars Windsor’s signature restaurant, offers upscale fine dining, unparalleled service, a delectable menu and spectacular riverfront views. Winner of “Best Steakhouse” by Detroit Free Press and Casino Player and Wine Spectator’s Award of Excellence, Neros boasts an impressive 300-label dine-in wine cellar and a selection of exquisite plates expertly prepared by our talented chefs. 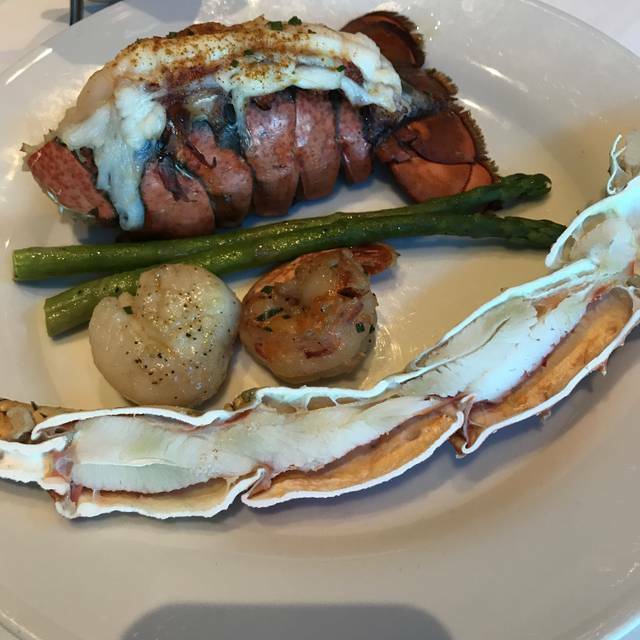 Enjoy mouthwatering Slow Roasted AAA Prime Rib, succulent Roasted Atlantic Lobster, a creamy & delicate Crème Brulee and more. Must be 19 years of age or older to enter the casino. Great food and excellent service. However, the lack of paper towels in the restroom is a negative. I personally am not one to like to complain and my meal was excellent and the service was top-notch. 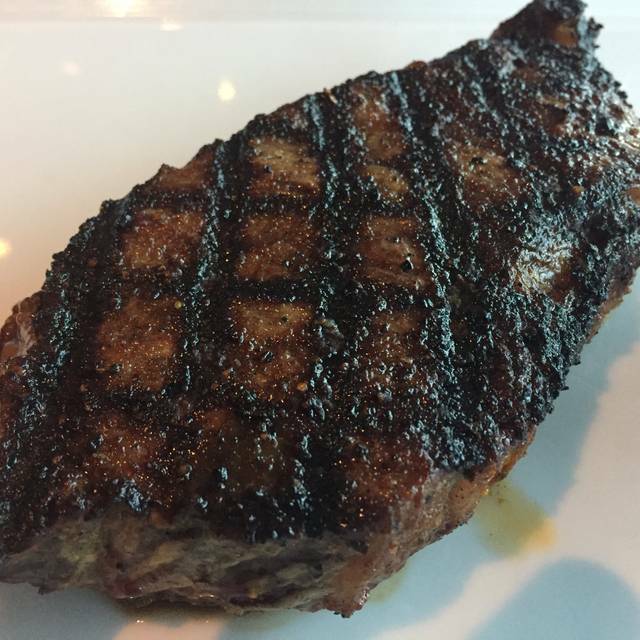 However I did have a bite of my mother steak which was quite tough it was the prime rib ribeye cooked medium well. And another comment my mother had was the music was quite monotonous which once she brought it to my attention I did find it to be the same. Steaks were delicious and the best part of the meal. The appetizers were a big disappointment and the service was just ok. For what they charge they need to step it up. We truly enjoyed our meal and the great service from Deborah. The seafood special is great value and excellent food. would always consider going back for those specials and have had excellent experience every time we have gone with the staff. We found the complete dining experience to be perfection. We were treated with class and excellence. Our server was extremely helpful and attentive. We look forward to our next trip to Windsor so we can dine here again. Second time there and it was as good as before. Quiet dining in a busy Casino. 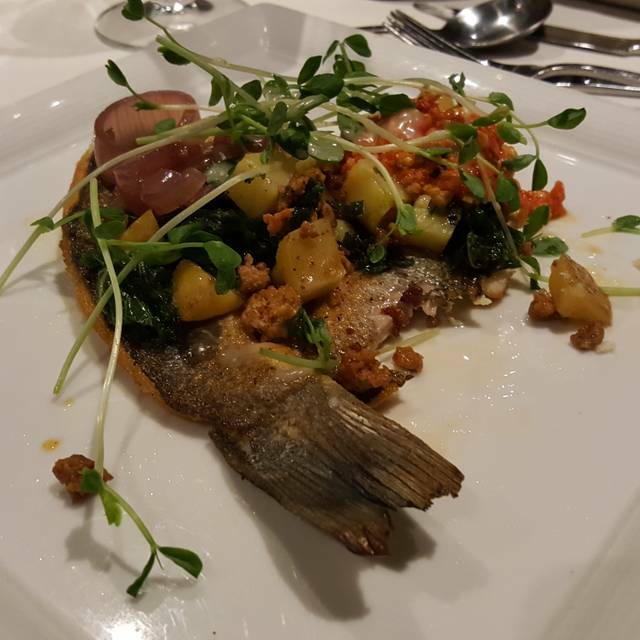 I thoroughly enjoyed the sea bass was almost too much to eat and delicious. The steaks are awesome but just wasn't in the mood. Went there for a birthday dinner and had reservations. Wouldn’t seat us till 10 min after our set time. Waited 25 min to get water and then said our server would be right with us 20 min later seen our waitress. Took an hour to get our food and drinks. Waited another 15 min for them to come check on us then another 20 min to get bill. The food was not up to par for a place like this. Very disappointing. Never will return there. Overpriced and under staffed. Food was outstanding and the service was excellent! Bradley was our server and he was very attentive and anticipated our every need. It was our first time here. Food was amazing, service was impeccable. 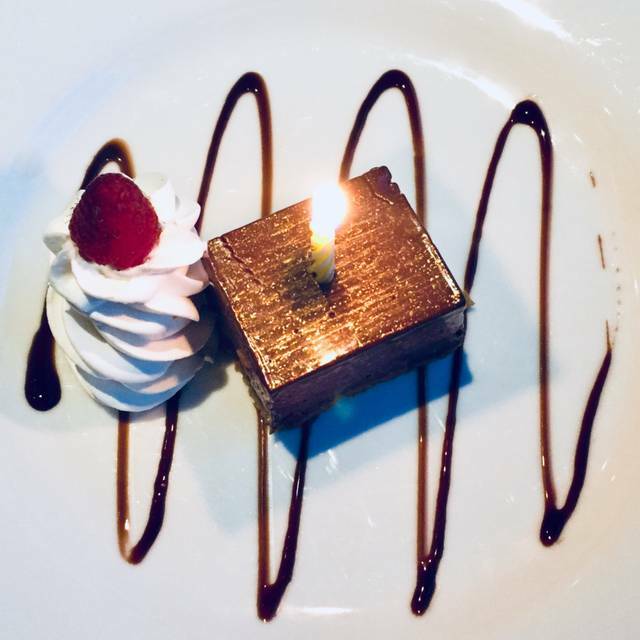 It was a birthday dinner and they gave a free dessert and candle which was delicious. Our waiter appeared to be knew as someone was with him for part of the order taking...but that being said you never would have known it. He was great and polite and cheerful. Will definitely return. Our waiter was very pleasant & attentive. Unfortunately I do not feel our experience at Nero’s was the best it could’ve been. Parts of the evening were great while others were not. We went for the steak and I got the filet but sadly was underwhelmed. I will say the pork chop ordered by another person in our group was fabulous as was the cheesecake. I visit Windsor frequently and am a Total Rewards member but not sure I would revisit Nero’s in the future. My sincere apologies. The food as always was fantastic. 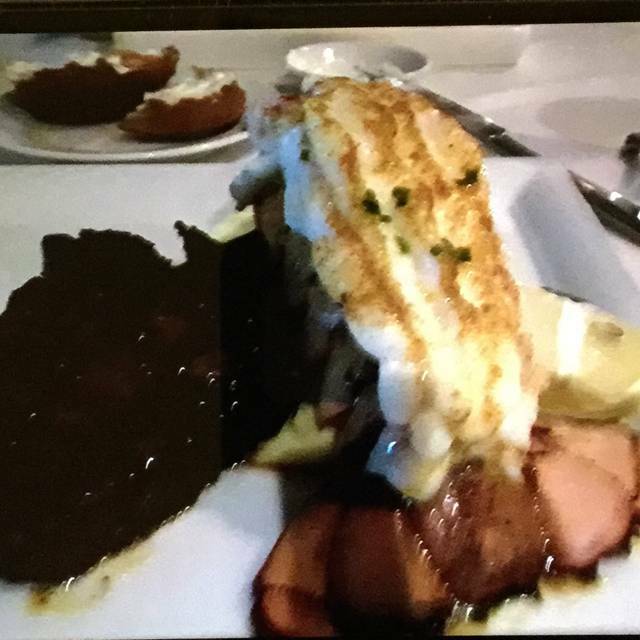 We had the 8 oz filet which was cooked to perfection, whipped Yukon gold potatoes and the 3 cheese cauliflower. Our waiter was very attentive and made our dining experience most pleasant and we will be eating there again in the future! It was a fantastic meal and the service was amazing. 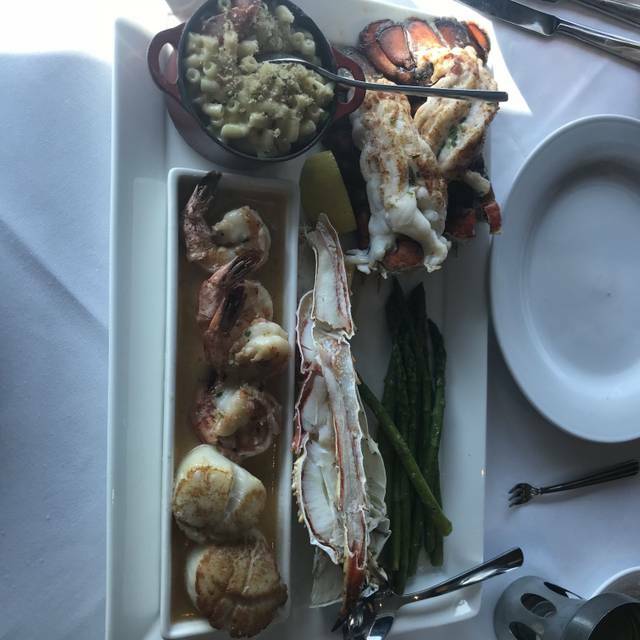 We thoroughly enjoyed our meal and thought it was a good value for all the seafood. I particularly enjoyed the lobster mac and cheese (it was the best I have ever had). 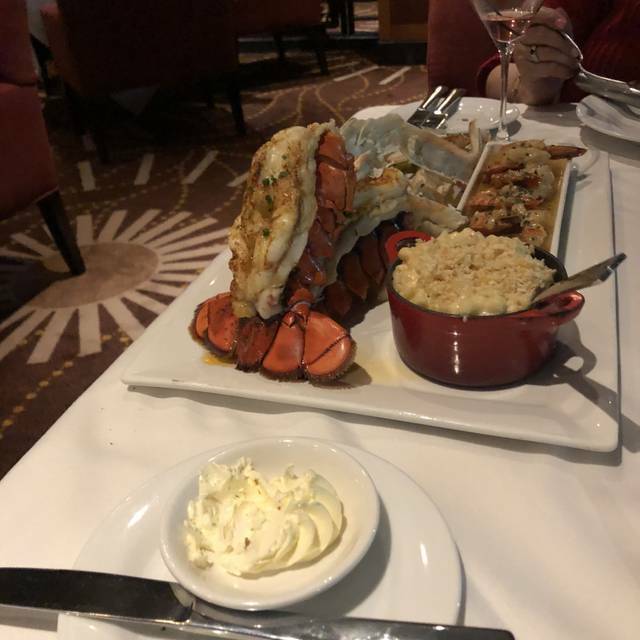 Absolutely delicious meal..lobster and Berkshire porkchop. Waitstaff always excellent service. With every visit to Caesars we plan one nights dinner at Neros. Another reason we enjoy the restaurant so much is the quiet atmosphere and getting a break from the noisy casino. We will be back. This is the 6th time we have dined at Nero’s and have enjoyed the food and service each time. Well worth a visit. Saturday night, it was busy and we were shoved in a small cove right as you walk by the bathrooms. Not the usual ambiance we experience when visiting Nero's. Our server was obviously overloaded so we had another person come and take our order, and then back and forth between them both. We have been multiple times and this was by far the WORST experience we ever had. Usually they make you feel exclusive and very special, this time it was the total opposite! Found wine very expensive. 300% markup is a little to much. Been here 3 times in the last few months.... Always a great experience. The food is incredible... Service impeccable... Great atmosphere. Highly recommended. Will be returning often. We were seated immediately and all staff were friendly and professional. The food was outstanding. I had lamb chops and they were mild and tasty..best I’ve had. My husband had prime rib and we shared asparagus and mashed. Great wind and atmosphere. Perfect night and experience. My son & I thoroughly enjoyed our dinner. This was his first time at Neros. He was quite impression with the decor. Both of us loved our drinks and food. Our server was wonderful. It was a great night out. We were running late for Anderson Cooper and our server did us a huge favour by keeping our leftovers until after the show. She saved us a lot of time by not having to go back to our vehicle. I do find it is a bit pricey however that would not stop me from going back. It is a wonderful place to go for a special occasion. I will be back for another special evening. I always do dinner at least once when I come to Caesars Windsor. It has always been a quiet exceptional dinner, service ambiance etc. Except my last dining experience was totally unacceptable. It was on April 7th. After an afternoon with my children, I just wanted a nice quite, relaxing dinner. I made a reservation for myself and was seated in a booth just beyond the bar. There was a woman in the bar area that was so loud that one gentleman at the bar rolled his eyes and got up and left. Another one was eating at the bar and was giving signs of discuss also. After a while my waiter said a manager had talked to her and told her to lower her voice. That lasted about 5 minutes until she came back from the bathroom. I'm trying to finish eating so I could get out of there. In retrospect I should have asked to be moved. So now shes going on about dropping her phone in the toilet (no surprise there) and getting louder. I wanted to jump up and tell her to shut the F up, but I restrained myself somehow. Shes talking to the guy on the opposite side of the bar and asked if her husband can buy him a drink. Probably thinking he was the one that complained. I was so upset by now I was starting to shake and knew i had to get out of there quick before I blew up. I hollered for my waiter to hurry with my bill. I was so upset that my quite meal in a classy restaurant had to ruin my evening. Shame on your staff for not getting her out of there. I would appreciate a reply on this, since I will be back in July. Everything was excellent. We have never been disappointed with our visits to Neros. Only concern is that it is too cool in the dining area and food gets cold too fast. Addressing some customers who are loud and use vulgar language when talking, eg. the F word. A patron near us said it 10 times during dinner. Ruins the elegant atmosphere. Great evening!! Our waiter Brad was fantastic!! The steak and seafood combo offered on Wednesday's was great tasting and a good value!! We absolutely enjoyed our time there. Our server was great and the food was very exceptional. It was a great experience as all our previous visits. The location and ambiance was fantastic, had a great table with a river view. Unfortunately that's about the extent of what was good about the experience. The waitress was very "cold". Didn't ask us how we were, didn't interact with us, it was all business. We each ordered a drink and it was never asked if we wanted another. Not even a friendly smile. The food was only "ok". I had the steak, which was fine, it's a steak. My wife had the fish, which would have been good except it was in a "tomato broth", which at Nero's means sitting in a bowl of tomato soup. I'm not a chef, but I know enough that no matter how crispy you're able to get the fish skin, it won't last sitting in soup. All in all it was not worth the money. We expected much more for what we paid and will gladly take our business to one of the many other restaurants available in the area. Highly recommend Spago in it's place. As always Neros dinning, food and service was outstanding!!! Wonderful experience! Would highly recommend! I ordered the bone in filet and my steak was tough and the mashed potatoes hard. Our reservation was at 9:30 on a week day and we felt very rushed since we were one of the last 2 tables there. We finished with dinner at 10:20 and skipped dessert and coffee because everyone was already cleaning and closing up. I would recommend the Resturant not take reservation at 9:30 if they close at 10 so customers can enjoy their dinning experience. I was not happy with my experience this time at Neros. Fantastic! The food was spot on and the wine the server recommended was excellent. Look forward to going back! Great place and great food. Excellent service provided by waiter “Brad”. It’s a quiet place, much to our liking. Will definitely return soon. We would highly recommend this place. Don’t miss out! Food and Service at Nero's is always excellent, although the Caesar Salad which was served Wednesday night was not up to their usual very best. 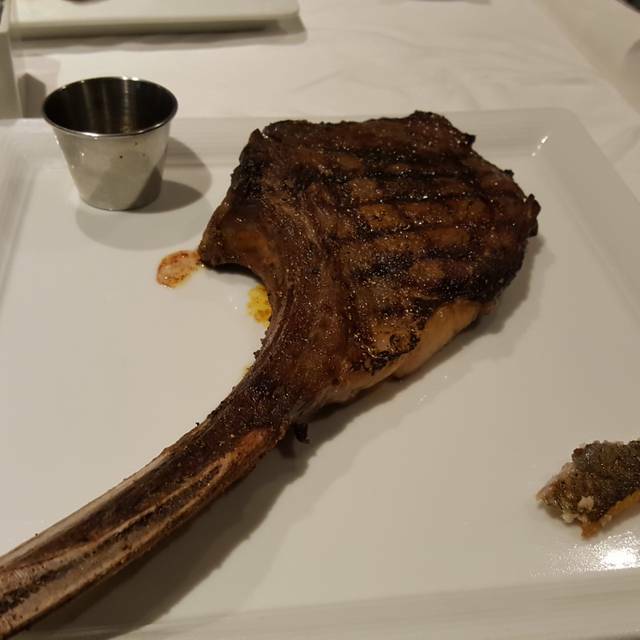 The Prime Rib was excellent and the service staff always great. 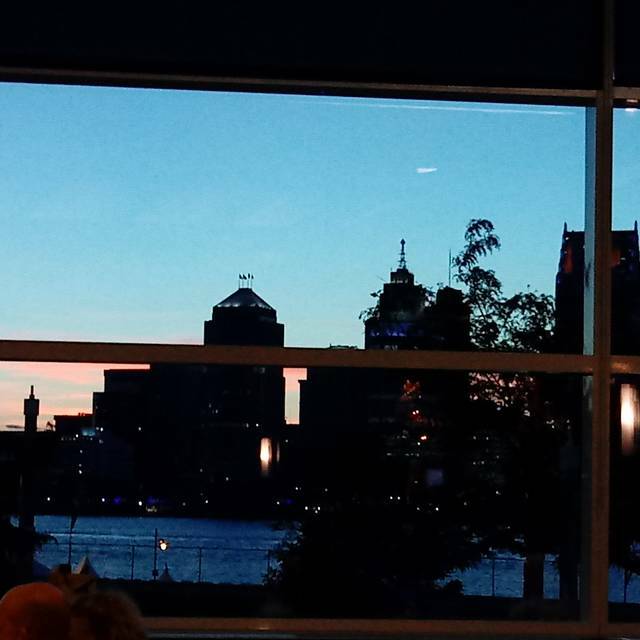 We try to get a booth for quiet conversation, the tables overlooking the Detroit River are very nice if it is sunny. The Wednesday night and Thursday night special are the best value, and with the exchange rate ( use a credit card with no foreign transaction fee), it is a great value. Came in on a Sunday night with Hubby. Food was delicious! Everything from the salad, to the sides and the steaks, everything was made perfectly. The steaks were cooked to perfection! The service was phenomenal and very attentive. Plates were cleared quickly, and drinks/water always topped up. Overall a really great experience. I can’t wait to come back next time we’re in Windsor! I thought I was reserving an upscale restaurant for our special weekend, but you post a dress code that you don't adhere to, number one. The food was okay, but not premium, as expected. Requested a window seat, didn't get one, but saw the possibility. Overall, I think the non adherence to the dress code bothered me the most. I didn't expect to be surrounded by people in jeans and T shirts with packages of sheets they obviously just won on the floor next to them. Enjoyed our meal. Waitress was friendly and very helpful when we were ordering. We were never rushed and are extremely sure we will be visiting on our next visit.